Robbed several convenience stores? I know a guy who ran a marathon, and never robbed anyone again. Marital problems? Irritable bowel syndrome? Never won the lottery? Take up running. It’ll change your life. I took up running and in six weeks, my stock market portfolio tripled! Big sigh. He has one message. Get fit. I don’t know if you’ll feel better, but I’ll feel better looking at ya. I’ve seen this same mentality prescribed in spiritual circles as well. I saw one recently that I found just as frustrating. Not feeling close to God? Feeling ineffective in your witness? Just not the Christian you need to be? The presenter of this piece of wisdom went on to say that God cannot use us if we don’t take care of ourselves. Don’t misunderstand me. I know that running is a great activity that will bring a boost of health to my plump and too-sedentary self. I also know there is great merit in eating well, including raw foods. I get that. But one of God’s amazing habits is to use people who aren’t in perfect shape, people easily dismissed by others. Moses. . .with a speech problem becomes the mouth-piece for the Hebrews. St. Augustine—a drunken womanizer becomes one of the most influential writers of Christian thought in history. Even in our own day, if the ability to run and maintain a rigorous fitness schedule makes one more God-usable, then Joni Eareckson Tada and Nick Vuyacic wouldn’t have had a chance to reach the tens of thousands of people that they have with their powerful ministries. Many people, their bodies wracked with cancer and disease, have been fully used of God in their final days to share something of eternal value with those they left behind. Too often people seem to confuse the salvation of God’s amazing grace with pathetic human activities. Oh sure, we should strive to be healthy but only because we’ll enjoy life more and it shows a respect for the body God has given us. But some folks seem to imbue a sort of holiness into the self-improvement actions themselves, as though we could somehow render ourselves more worthy of God’s use. Truth is, none of us is worthy of His use, whether bent and broken, or fit and strong. Frankly, it’s a wonder we gain His attention at all, let alone be chosen to do anything for His kingdom. So eat well, yes. Run, exercise, and work out, yes. But don’t be surprised if the donut eating, sedentary guy with bad fingernails is the one God chooses to change the world. Thanks for saying Thanks! It’s always nice to know when someone likes a post. Yes, yes. Thank you for succinctly stating this encouragement! Nice! It is sooooooo tempting to send this to someone in particular. 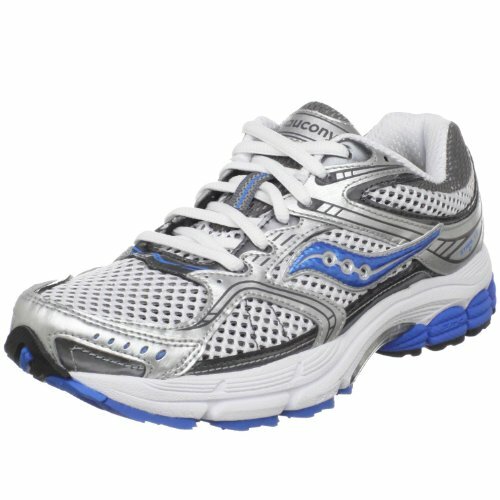 =0P Even “oh yes, this is definitely spiritual” concepts/actions can become like that running shoe. I guess we all know of one. . .or twenty (?) people who can fit into this category. The goal, of course, is to never go there myself. 🙂 Some days I do alright, and then other days. . .